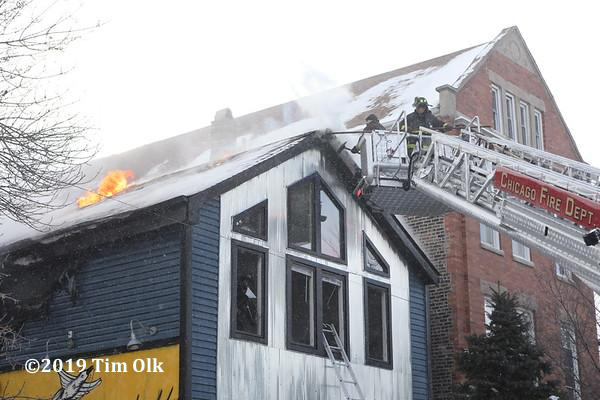 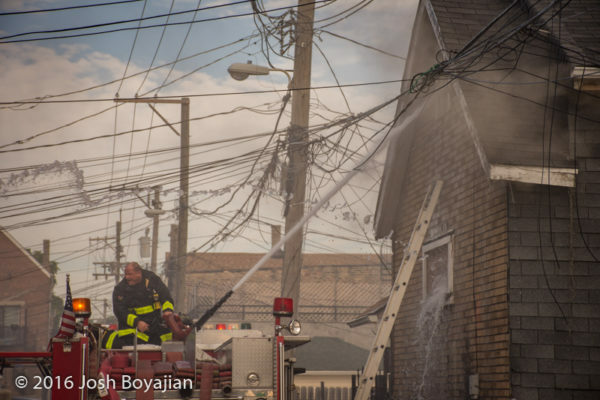 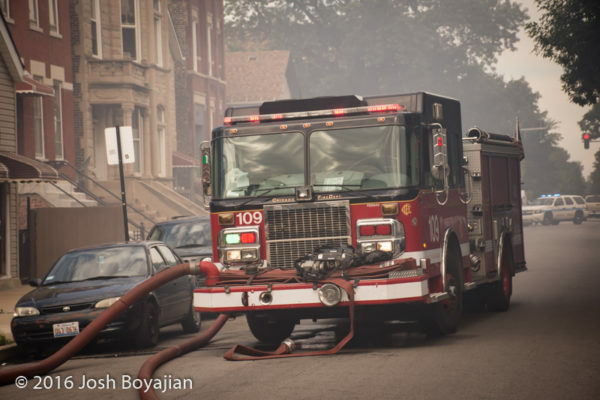 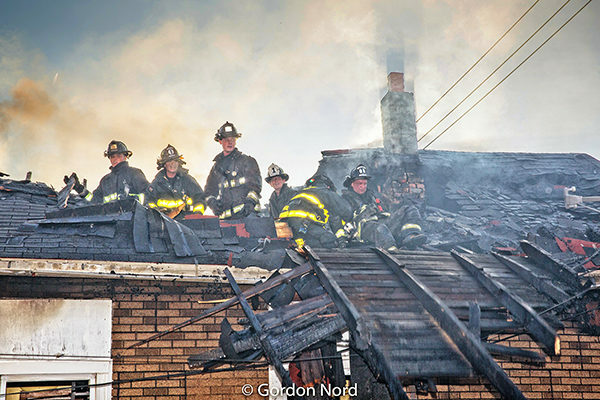 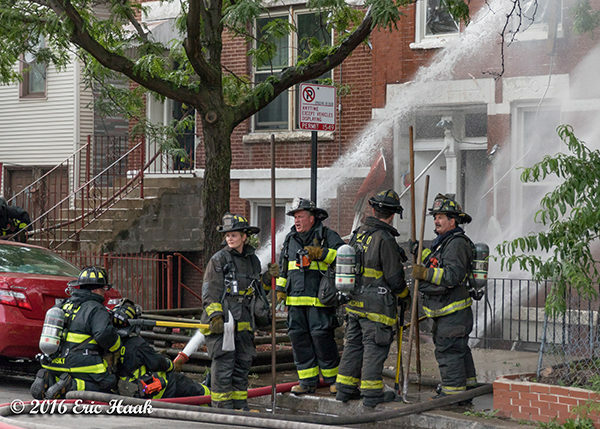 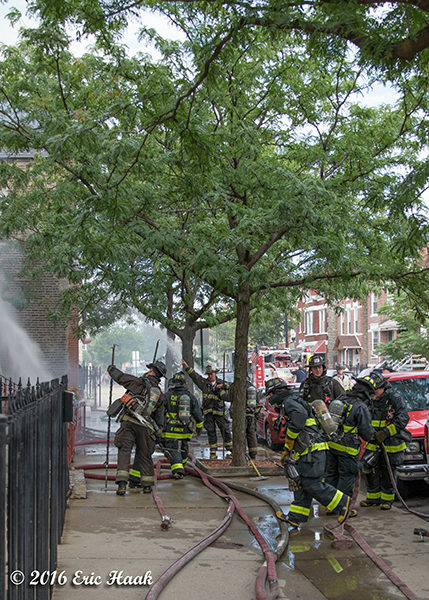 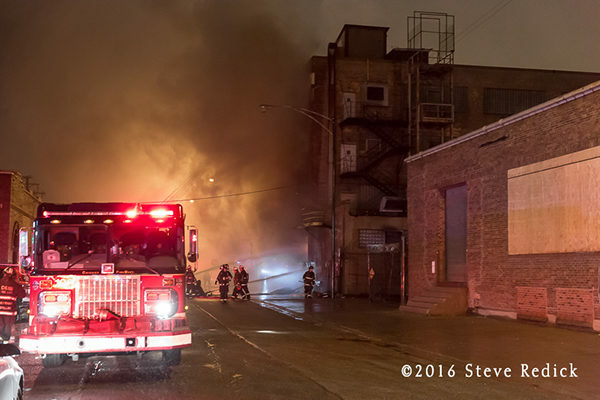 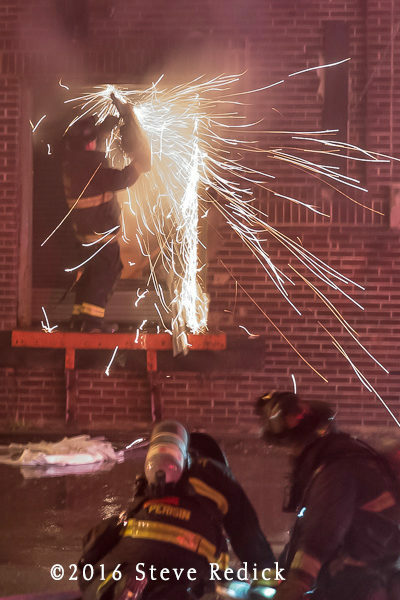 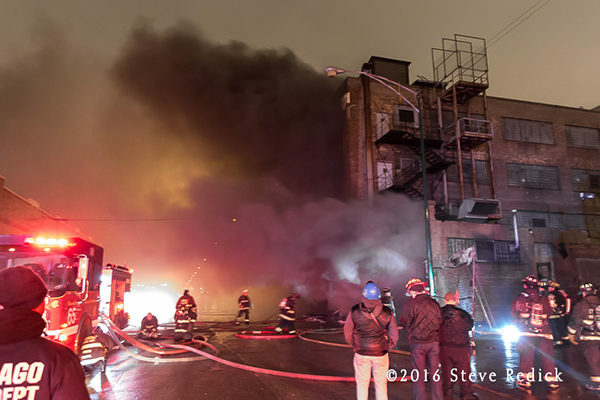 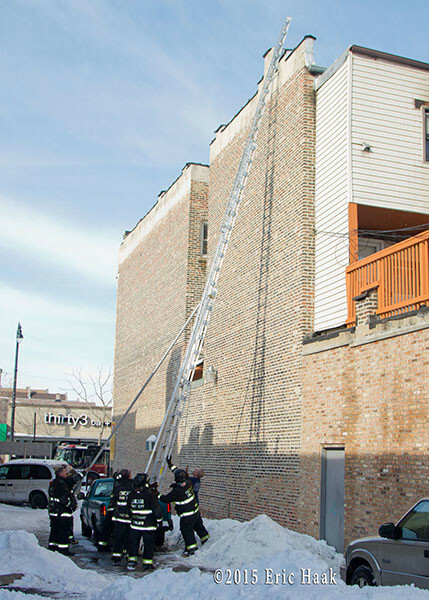 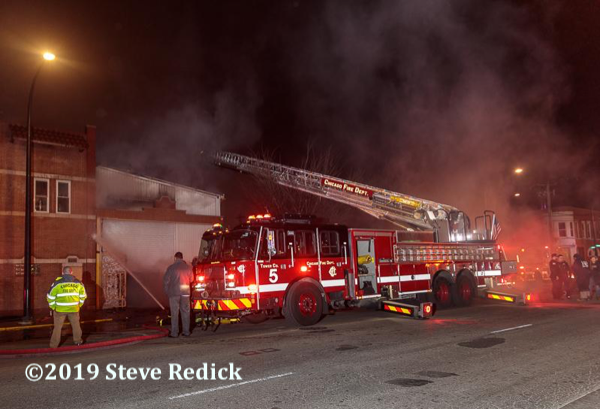 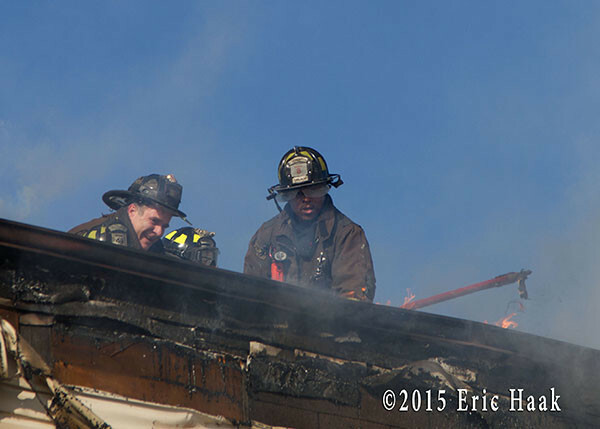 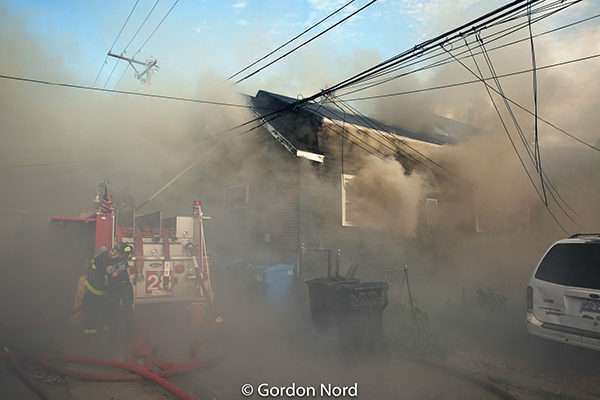 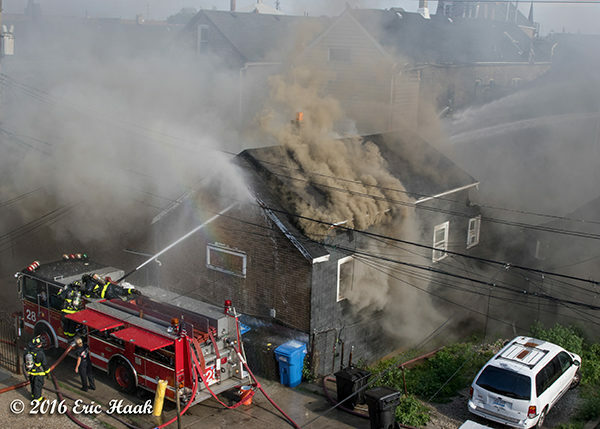 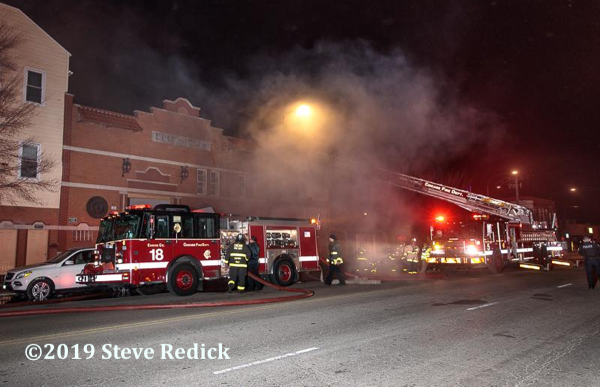 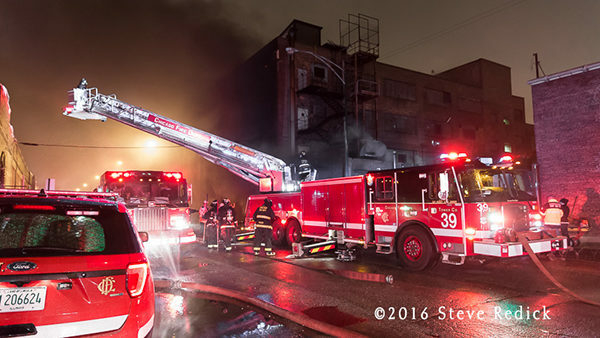 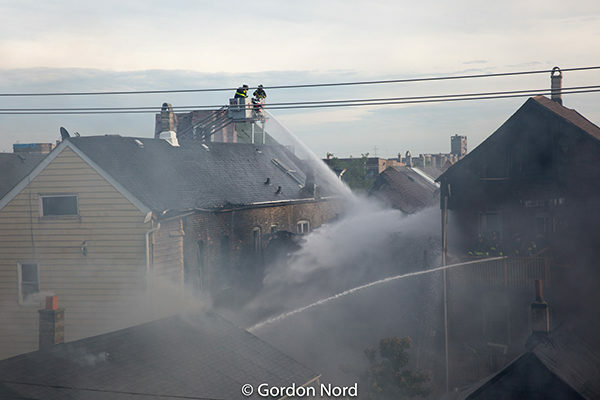 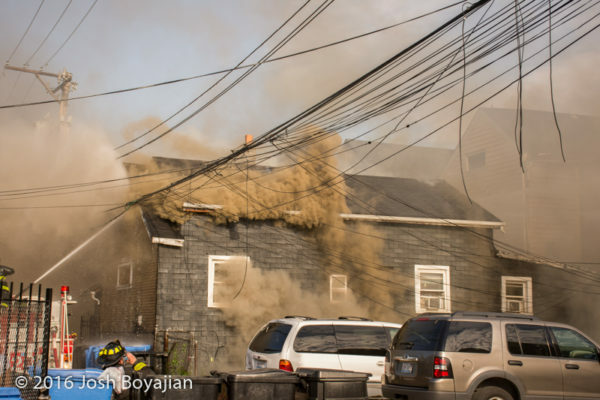 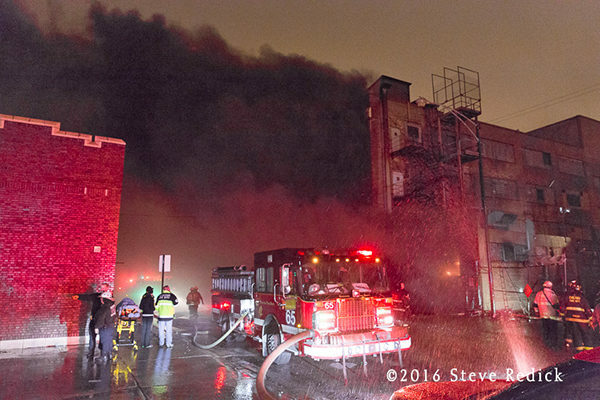 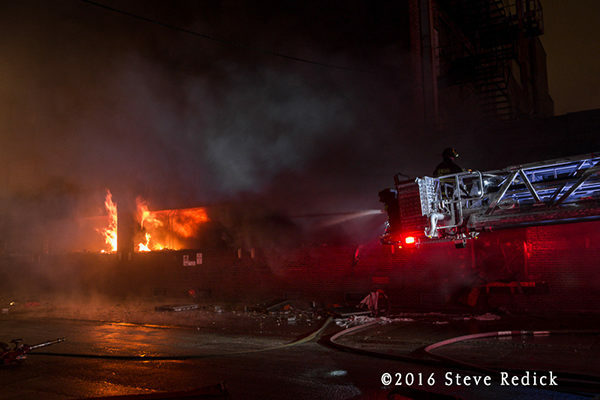 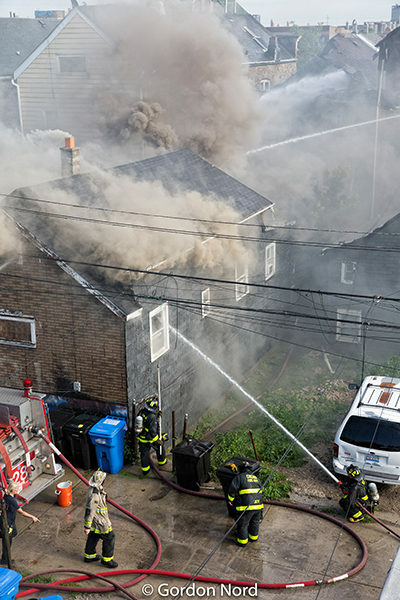 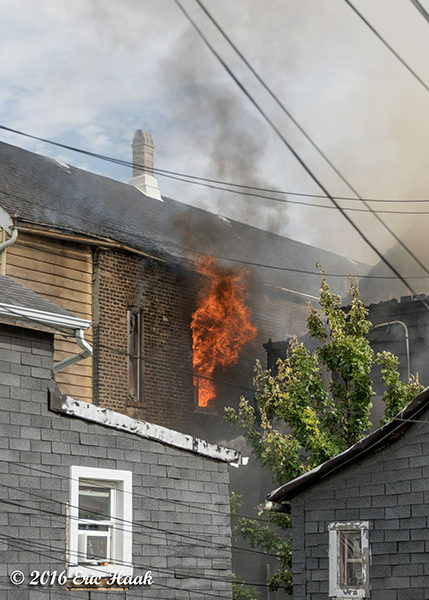 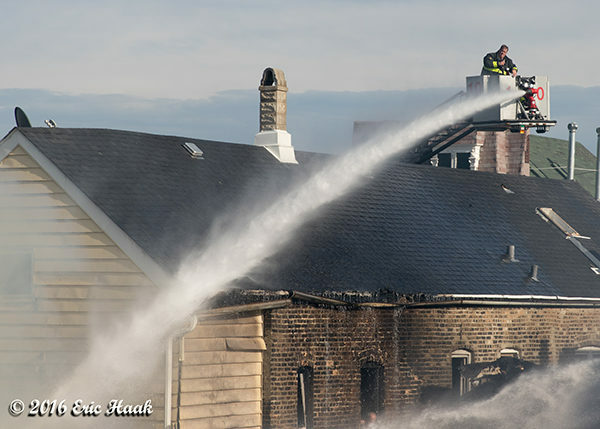 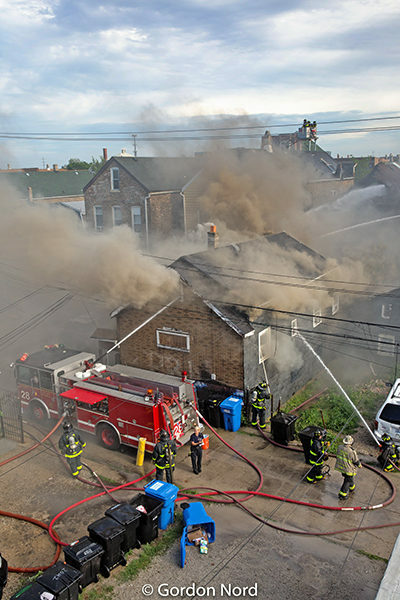 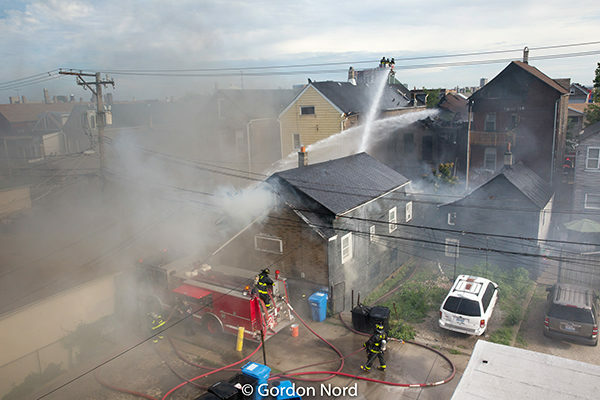 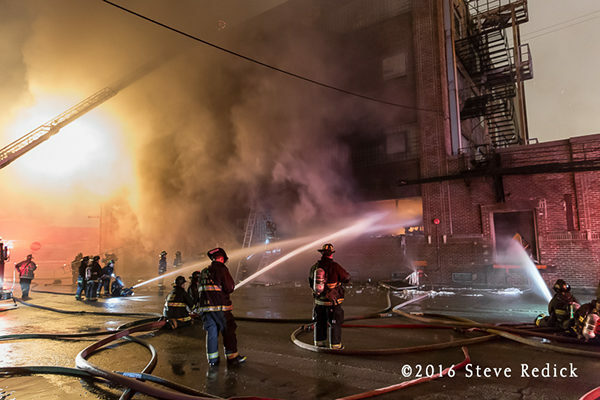 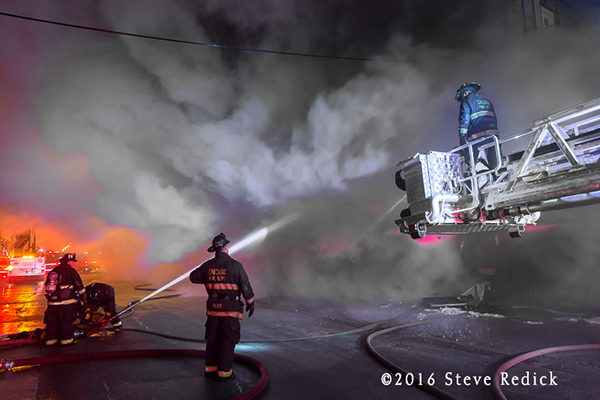 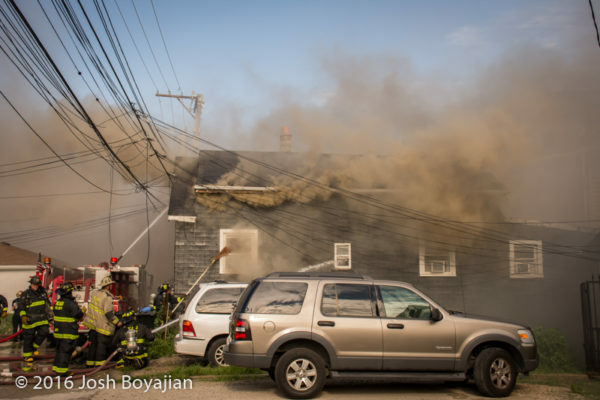 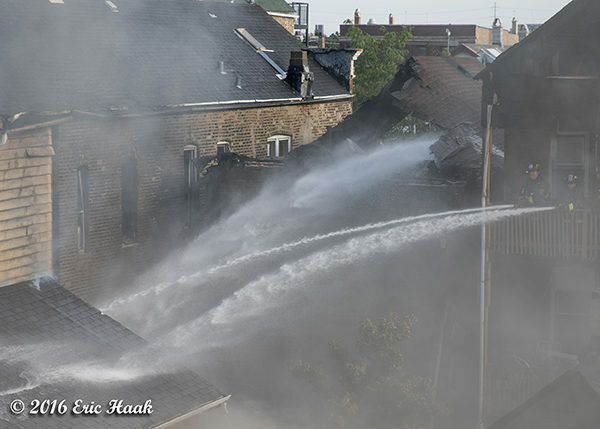 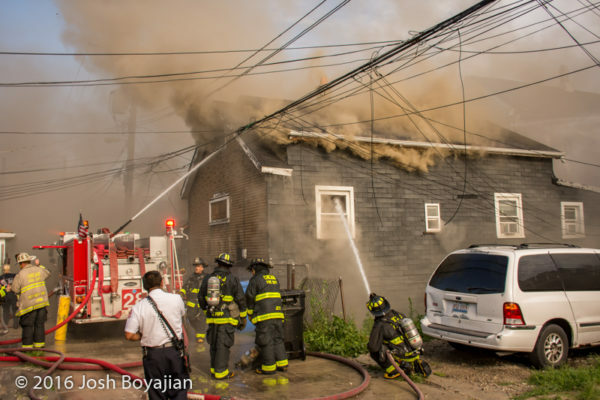 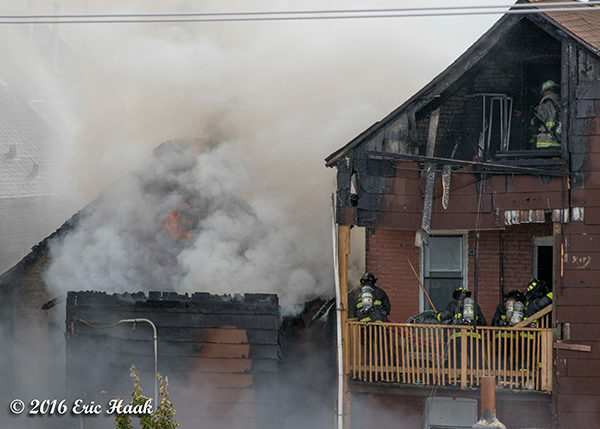 This fire happened the evening of April 30 about 48th Place just west of Kedzie in Chicago. 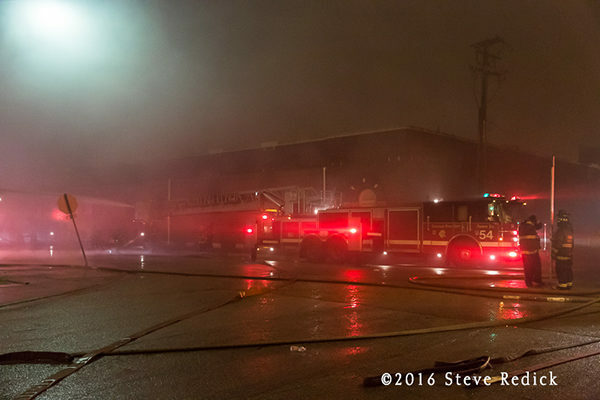 Companies initially reported an auto fire adjacent to the building but shortly declared a working fire. 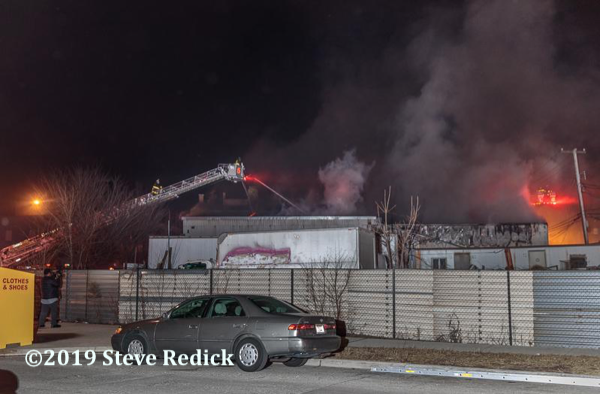 This was, from what I could tell, a fire resistive structure with concrete floors. 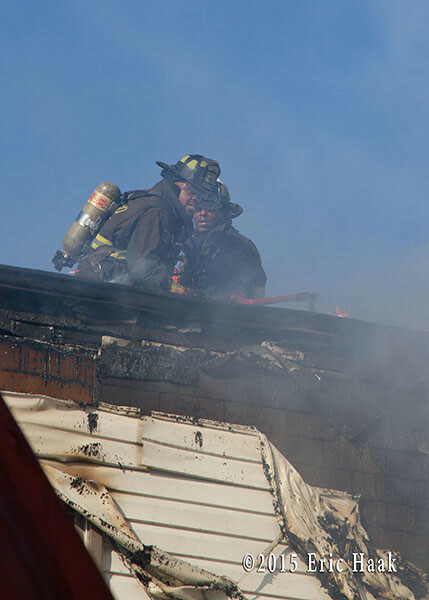 The fire involved mattresses and foam padding in a large area of the first floor. 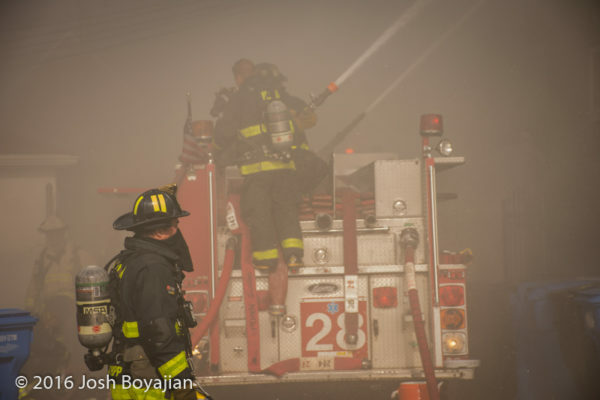 Weather conditions were poor … rainfall kept the smoke low and visibility to a minimum. 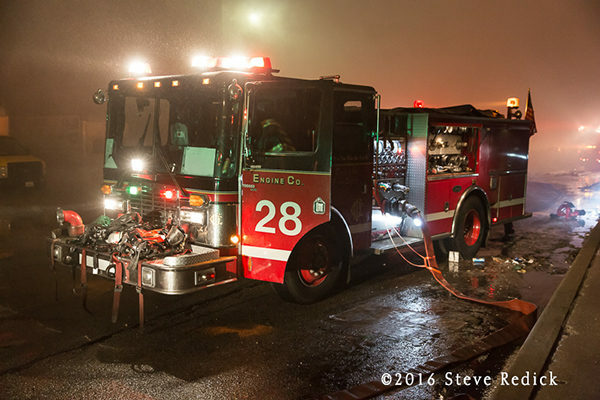 Flash photos were pretty much impossible and both my camera and I got a thorough soaking. 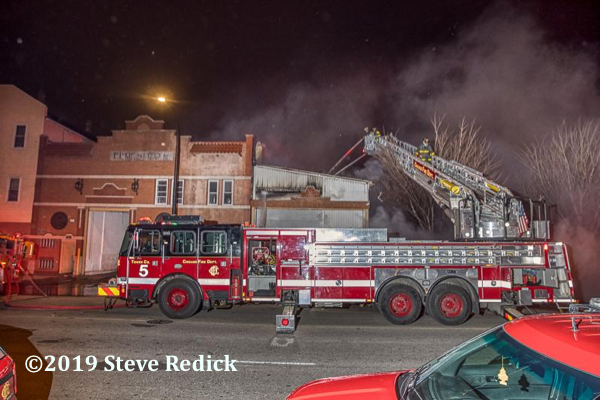 The new TL 39 and TL54 were both utilized with the buckets low to the ground to work their streams deep into the first floor. 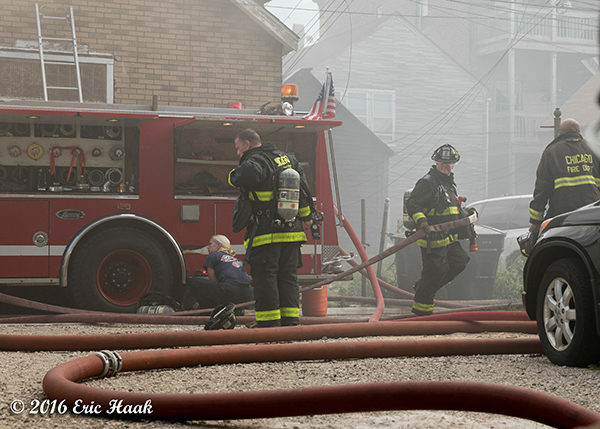 Multiversals and numerous handlines were also utilized. 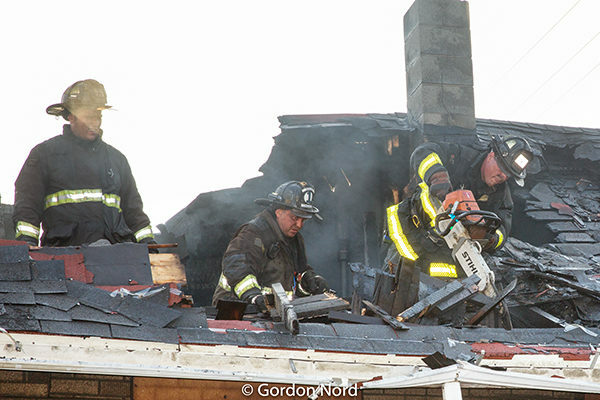 The attack lasted a few hours and cautious interior asessments were conducted in the later stages using TIC and search ropes. 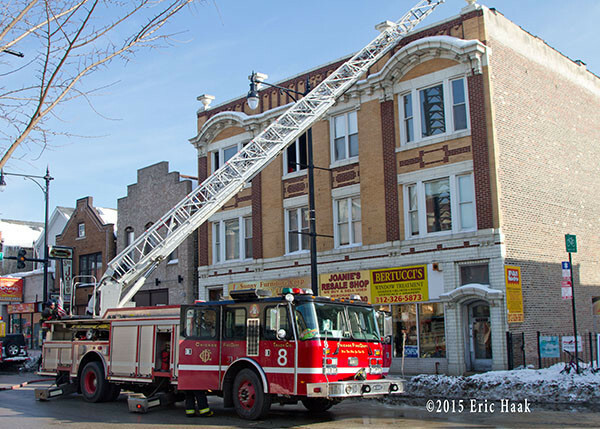 I took in this still at 3259 S. Halsted (Chicago) at about 9:15 on Saturday morning (2/7/15). 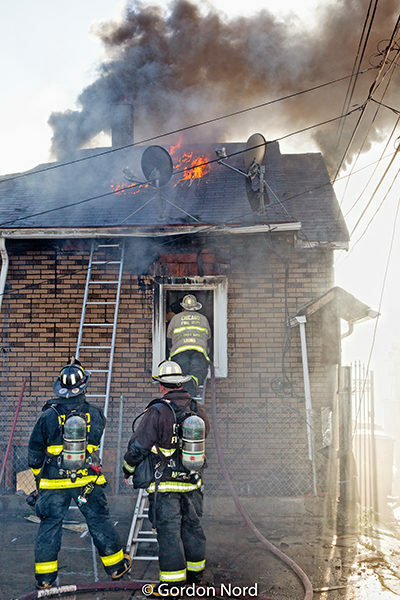 I arrived about 5 minutes too late and the fire was knocked pretty good by the time I walked down. 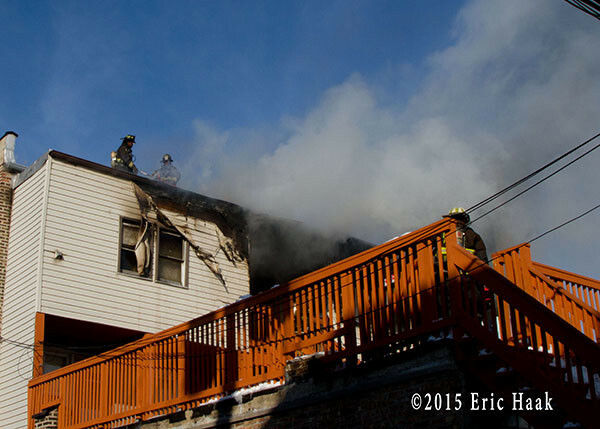 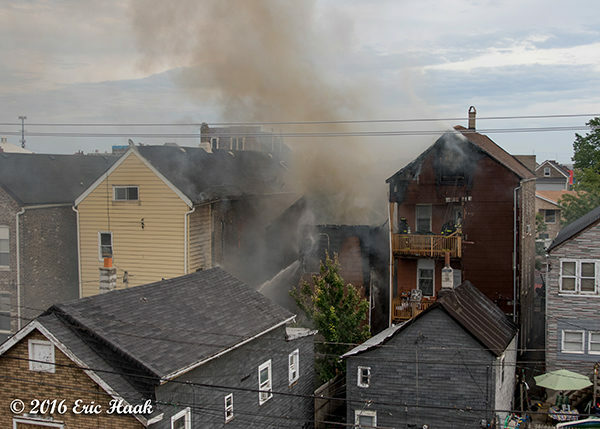 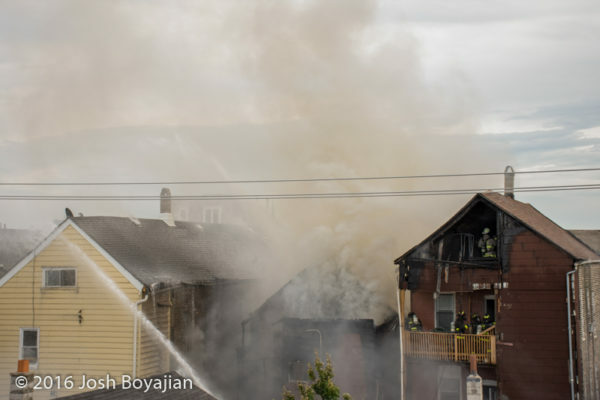 The fire appeared to be mostly contained to the rear porches of a fairly large 3-story mixed occupancy. 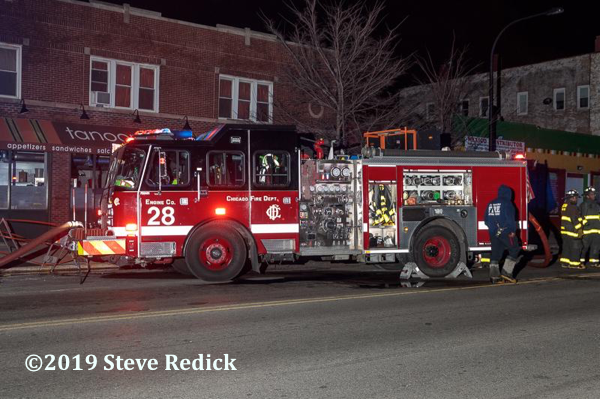 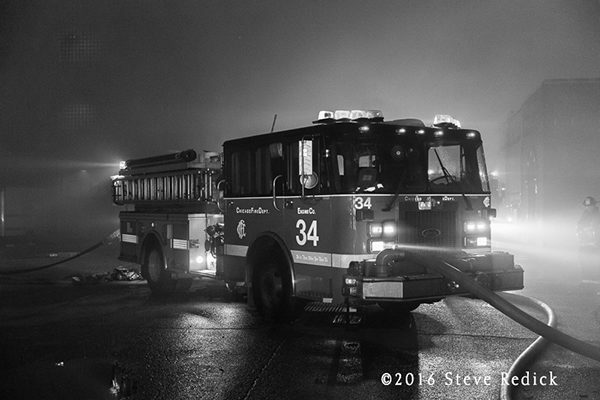 Engines 29 and 28 with Trucks 8 and 11. 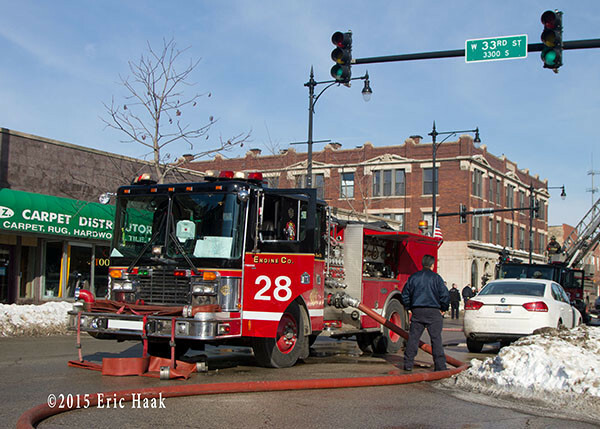 It was hard to get a good shot of 29 shooting into the sun.